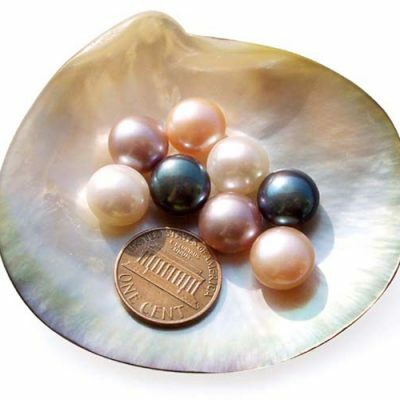 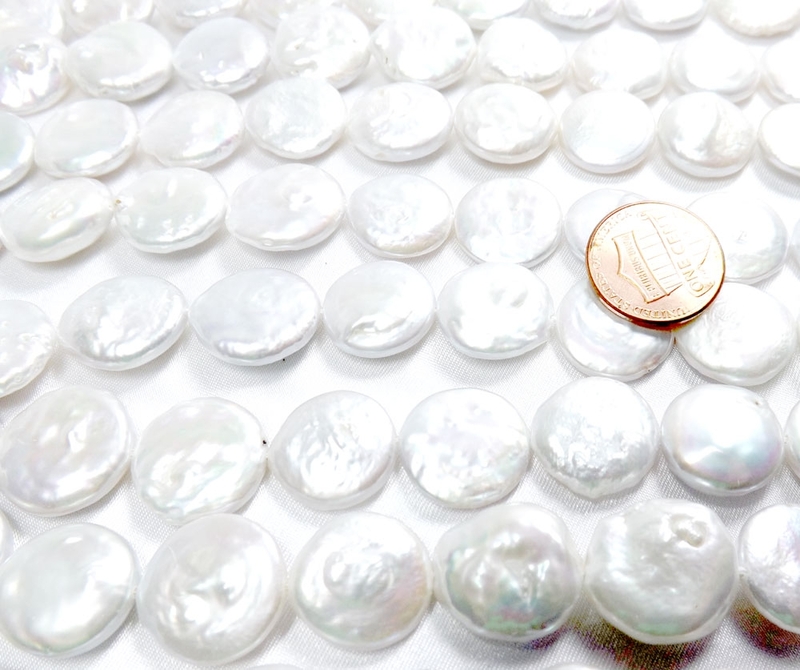 These large sized 15-16mm white colored coin pearls are AA+ graded with high luster and minimal surface markings. Considering their huge 15-16mm in size, these flat coin pearls beads are pretty hard to come by while still have such a nice quality, as pictures shown. 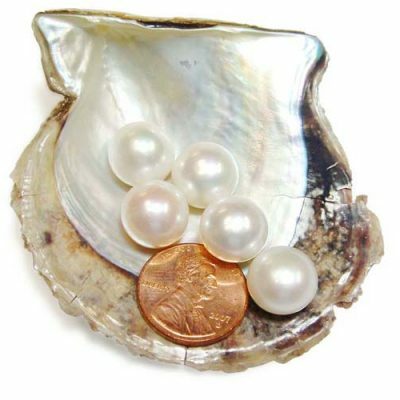 Because for larger sized pearls, it is almost impossible to get them totally no markings at all at AAA grade. Just as people who are also nature-made, the older we get, the more likely we have imperfections and markings. 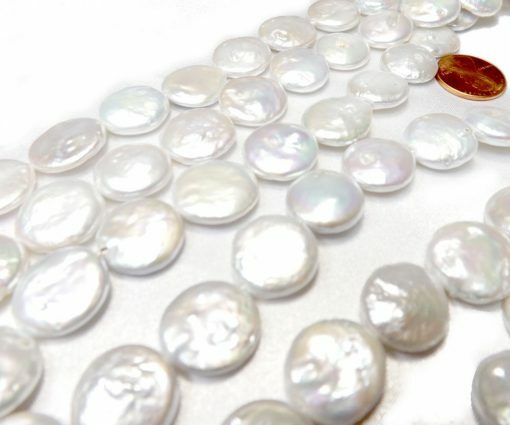 Necklaces made with these huge sized flat coin pearls really make an impression. 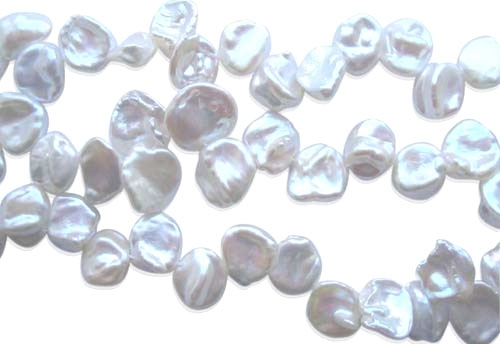 There are approximately 24-25 pearls on a strand at 15.5″ long.